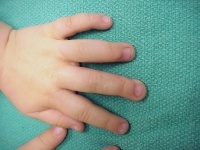 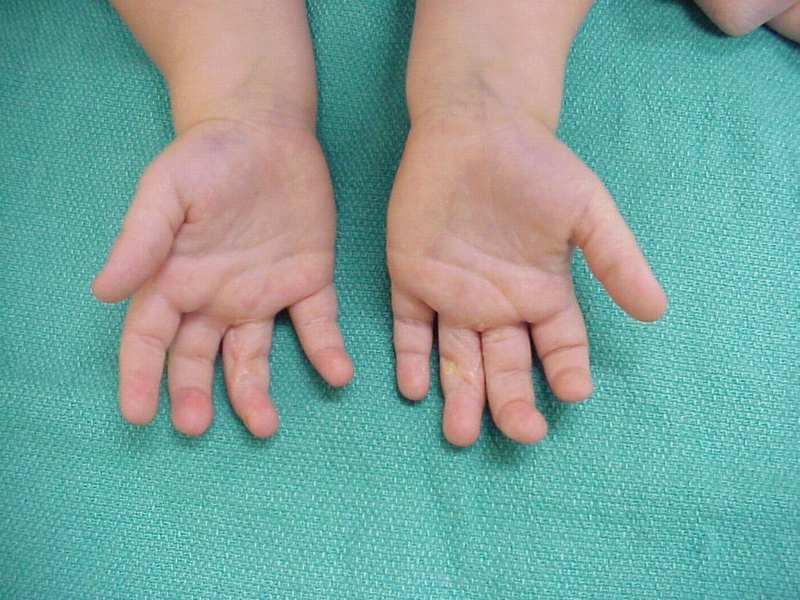 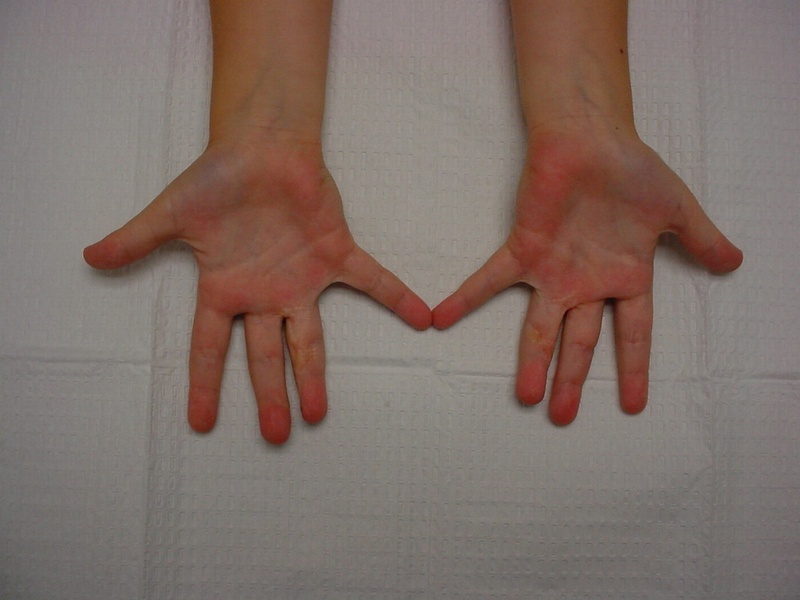 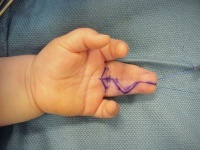 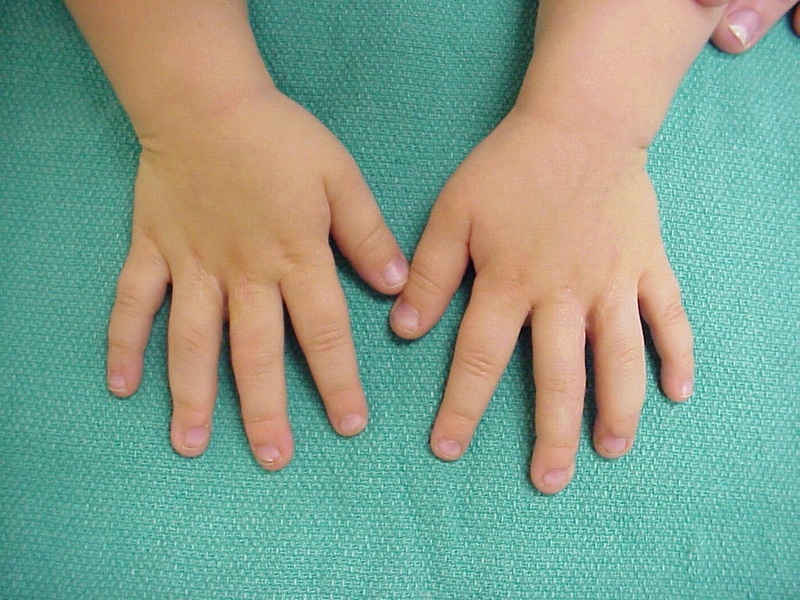 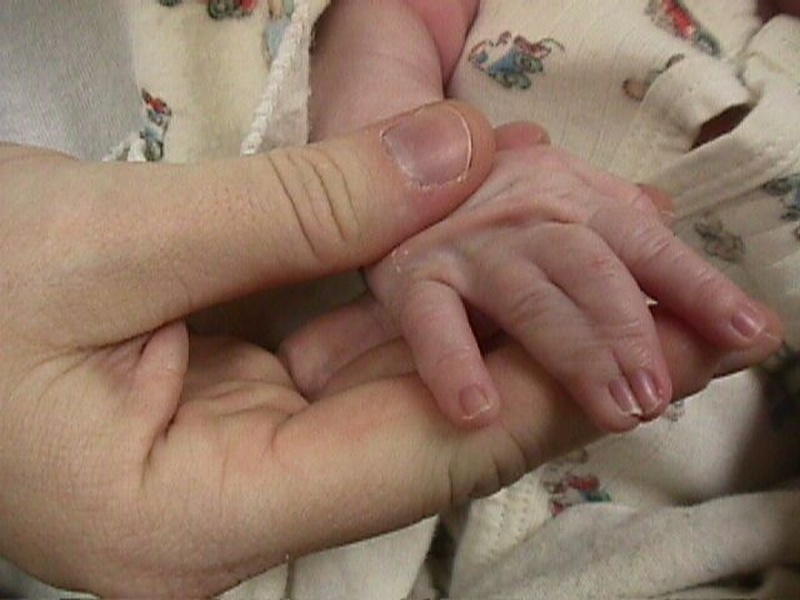 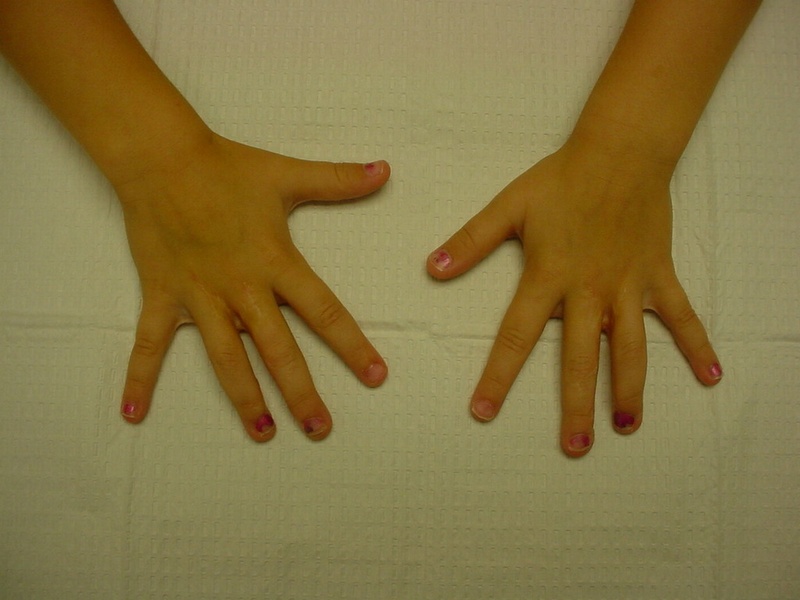 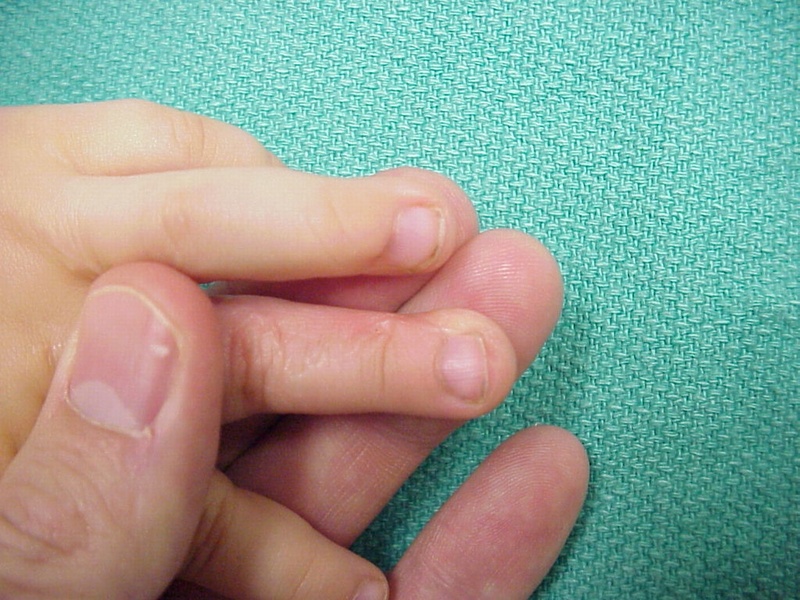 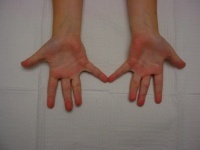 Complete complex syndactyly presents a number of problems, including lack of adequate pulp soft tissue on the adjacent sides of the fingertips: there is none. 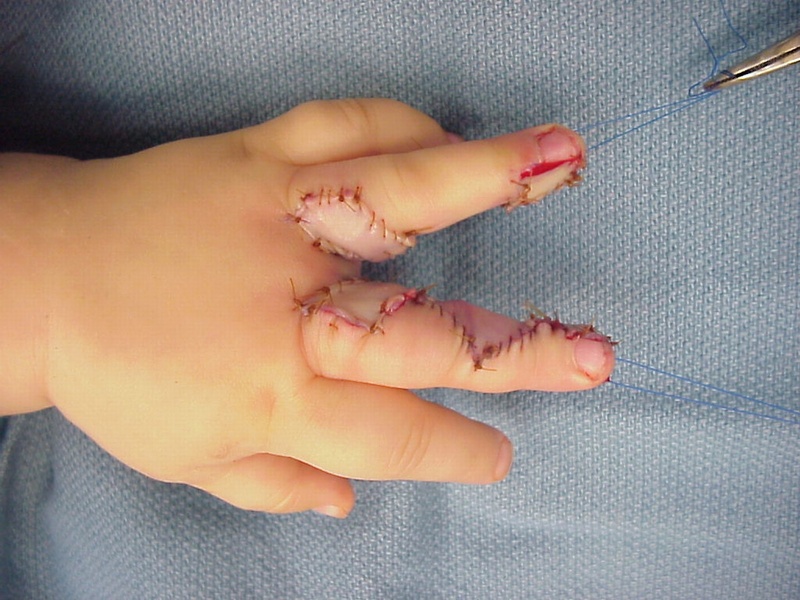 There are three technical approaches for this problem: local flaps, skin grafts and composite tissue grafts. 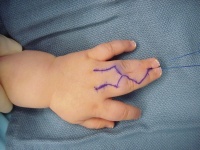 This is an example of the use of composite toe pulp grafts. 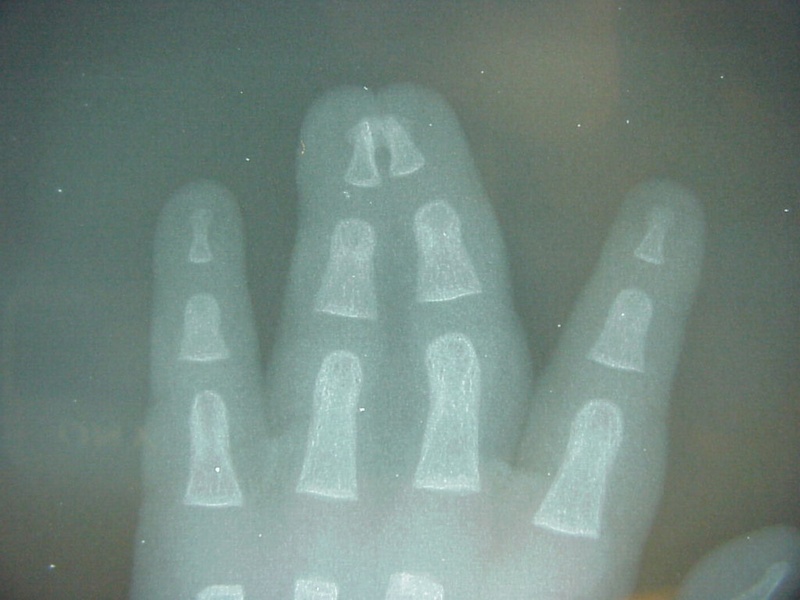 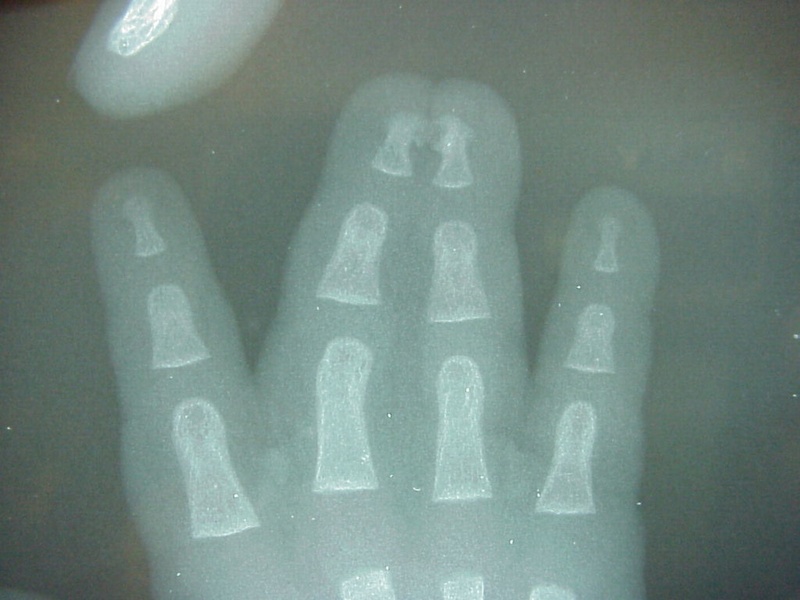 Complex complete bilateral middle-ring syndactyly. 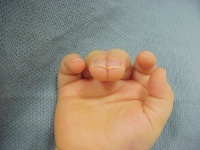 The same procedure was performed bilaterally at the same setting. 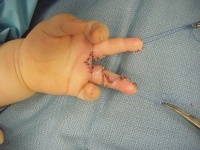 Composite skin-subcutaneous tissue grafts were harvested from the lateral aspect of the great toe and transferred to the adjacent sides of the separated fingertips. Final contour is more full than graft or local flap reconstruction.